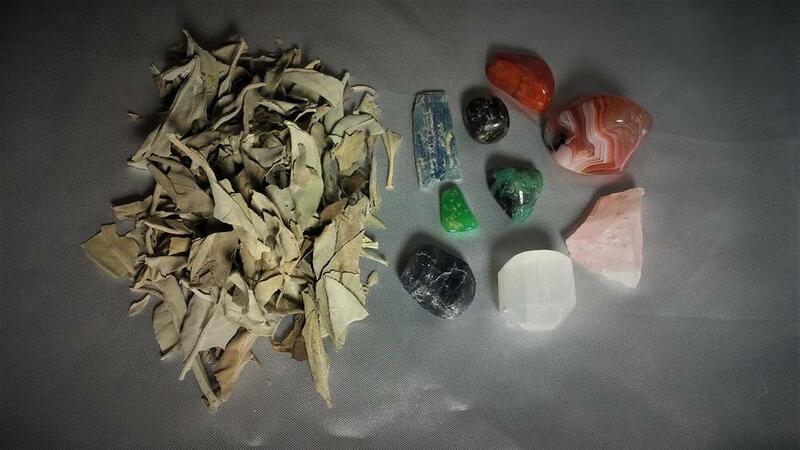 Basic May Collection - Emerald, Agate, Chrysoprase, Selenite, Rose Quartz, Kyanite, Rhodonite, Carnelian, Iolite, & a small bag of loose Sage. memory. Gives you clarity & greater understanding. Helps heal the heart. Some cultures think it would heal any disease of the eye. Can be a bridge between 2 people. Draws love into your life. Preserves love. Encouragesyou to have respect for all life & all of creation. The power of the Emerald is highest at the full moon.